There are many types of warning lights that will notify you when a mechanical issue is underway within your vehicle, including problems with tire pressure, the engine, the brakes, and more. The exact types of warning lamps you have in your ride depends on the actual make and model. 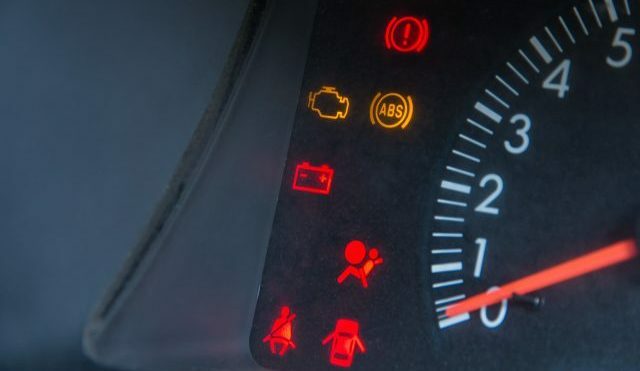 Older model vehicles may only have one or two types of warning lights, while newer models are typically manufactured to have most, if not all, of the most common warning lights. The top 5 most common automotive warning lights are for anti-lock brakes, engine, oil pressure, tire pressure, and battery. Continue reading to learn what you need to know about them all.  ABS Lights – ABS stands for anti-lock brakes. This means when a driver needs to suddenly brake, the ABS system will prevent the wheels from locking and losing traction on the road. It allows a vehicle to retain tractive contact with the road in order to come to a sudden stop. The ABS system is an important one for all vehicles because it significantly reduces the chances of wrecking a car or causing an accident. It is also great for winter weather and precipitation.  Check Engine Light – Most drivers are familiar with the check engine light, also known as the malfunctioning indicator lamp (MIL). When this light illuminates, it could be for a variety of reasons, ranging from minor to serious. 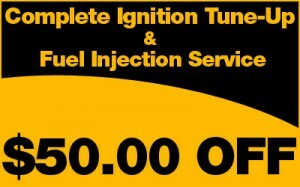 For example, a lit check engine light can signify something small like a loose gas cap, or it can signify something much more serious like a needed catalytic converter replacement. If this light comes on, have your vehicle inspected by a licensed car mechanic as soon as possible. It is strongly recommended to not drive a car when the engine light is on.  Oil Pressure Light – This light comes on when a vehicle’s oil levels are low. A car needs motor oil to keep the engine lubricated and prevent overheating. Without proper oil levels, a car or truck can experience significant and irreversible damage to its engine. This is a very costly repair that can easily be avoided with regular factory scheduled maintenance.  Battery Lights – There are several reasons why a vehicle’s battery light may illuminate. It could signify a problem with the alternator drive belt, the slack starter, or complete alternator failure. These are serious and should be addressed immediately before driving the vehicle again.  Tire Pressure Lights – When this light comes on, a driver can assume that their tires need more air. Low tire pressure can reduce gas mileage, but more seriously, can cause tire blowouts, hydroplaning, and car wrecks. Always be sure your tires are in good condition and full of the appropriate amount of air. Never over-fill tires with air because it can cause them to pop or blowout as well. Your vehicle is arguably one of your top-most important assets. Without it, you sacrifice freedoms of all kinds; not to mention the challenge of finding transportation to work, school, and other vital responsibilities. So when your car or truck begins to show signs of trouble, it is critical that you pay attention to the message it is trying to convey. As for a catalytic converter, the same theory applies. Continue reading to learn the top three signs of a bad catalytic converter, and what you need to do to get your vehicle back to a safe and operational condition. The check engine light is one of those components that gives you anxiety every time it illuminates. Although most often, it is something simple, like a loose gap cap, it can also be a sign that your catalytic converter is malfunctioning. You see, the oxygen and air-fuel ratio sensors monitor the efficiency of your vehicle’s catalytic converter by watching the gas levels in the exhaust. 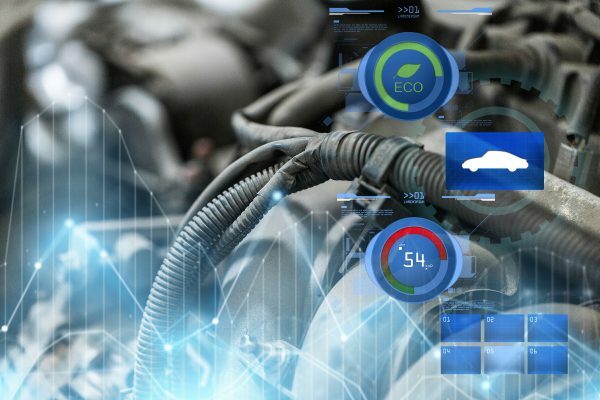 So when your catalytic converter is improperly catalyzing the exhaust gases, it can prompt your vehicle’s computer system to catch on and warn you of the defect. Your catalytic converter is a big partner to your vehicle’s engine since it is a part of the exhaust system. So it is expected to have poor engine performance if your vehicle’s experiencing catalytic converter problems. Signs to look out for include engine stalling, overheating, reduced acceleration, poor fuel economy, and power issues. Common defects that causes these problems are mostly due to a clogged, obstructed, or cracked catalytic converter. Car’s make noise. However, when the noise becomes concerning, it could be a sign that your catalytic converter is on the outs. Rattling sounds should be the most alarming to you. Old catalytic converters, or ones damaged by rich fuel mixtures, can experience collapsed or fragmented meshes, which can cause rattling sounds while driving or in the parked position. Call Northeast Auto at 317-475-1846 for affordable Indianapolis catalytic converter repair you can trust. We provide domestic and foreign car repair for all make and model vehicles. On top of competitive prices, we also offer car repair coupons and discounts. We can even assist with tows! 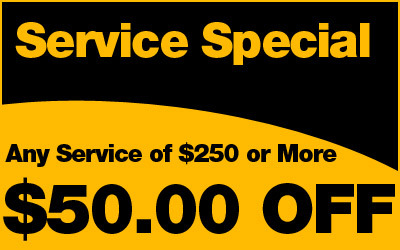 Call 317-475-1846 to request a free estimate, today. Whether for the lawn mower, scooter, or truck, it is common for vehicle owners to have a stash of gasoline lying around. Having an emergency supply of fuel is great for times when you forget to fill up the tank, but there are some important facts you need to know about old gasoline. After sometime, gasoline loses its combustibility properties, making it quite difficult to get a car engine to turn over or stay fired up. Depending on the age and quality of the fuel, it may even be totally useless. But low combustibility does not mean non-flammable. Although gas will lose enough combustibility to render it useless for powering motors, it is still combustible enough to be a fire hazard. In fact, gasoline is still extremely flammable even if it is really old. For this reason, tossing out your old gasoline is not as simple as taking out the trash. The degree of flammability makes gasoline a dangerous hazard, so it is vital to learn the safe and responsible way to dispose of it in your town. You can’t just toss gasoline into trash receptacles, sewers, drains, bodies of water, or even down toilets. Not only can this put yourself and others at risk of fire hazards, explosions, and chemical exposure, there are laws that govern the legal disposal of private gasoline supplies. If you fail to meet these requirements, you will potentially face legal repercussions, such as fines, restitution, and even jail time. You should check with your county clerk’s office to learn your state’s ordinances regarding gasoline disposal. Your first option for discarding old gasoline safely and responsibly is to combine it with your good gasoline. Although it has low combustibility, old gas can still contribute to ignition, and even extend the life of your good gasoline. If your old gasoline is especially dark and mucky, you should not use the first option. Instead, it will need to be entirely discarded. 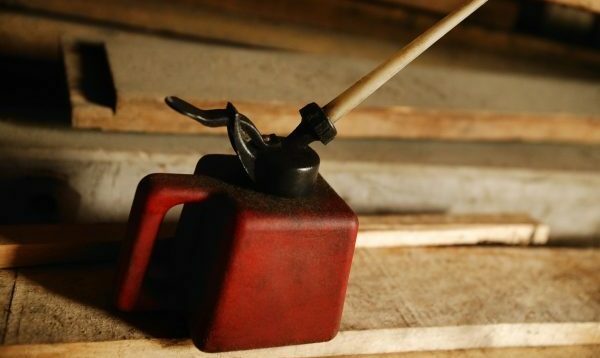 To reuse old gas with new gas, just pour the remainder of old fuel into anything that takes it, such as lawn mowers, weed whackers, scooters, motorcycles, cars, trucks, and vans. For vehicles, you may want to consider using a fuel additive for best results, such as octane boosters, injector cleaners, and similar automotive products. If you still have leftover fuel, or your fuel is too old to reuse, try this next option! Your other option for safe and proper gasoline discarding is to contact a nearby disposal center. Simply track down a hazard waste collection and disposal center in your town that accepts contaminated gasoline. Keep in mind that these centers are usually only open to the public once or twice a week, so be sure to schedule accordingly. Start by contacting your county or city waste management agency. They can give you leads for all the nearby centers that offer this service. You can also contact your local fire department or Indianapolis auto repair shop for information on safe gasoline disposal services. Braking fluid is one of the seven essential fluids needed for all vehicles to operate smoothly, safely, and efficiently. Without brake fluid, not only do your car brakes suffer greatly, you could cause a serious accident without the ability to come to a stop. This is a very dangerous situation which is why no one should ever operate a motor vehicle without a sufficient amount of brake fluid. There are several different brands of brake fluid on the market to choose from, but there are only three primary types of brake fluid available for cars and trucks. These are classified as either “wet boiling point” or “dry boiling point” and referred to as DOT3, DOT4, and DOT5 braking fluid. As mentioned before, the three primary brake fluids are DOT3, DOT4, and DOT5. The first two, DOT3 and DOT4, are glycol-ether-based fluids. These two glycol-based fluids absorb water, which at the same time, decreases their boiling points. DOT3 has a minimum dry boiling point of 401 Fahrenheit, and a minimum wet boiling point of 284 Fahrenheit. DOT4 has a minimum dry boiling point of 446 Fahrenheit and a minimum wet boiling point of 311 Fahrenheit. Although they are similar in function, separate types of braking fluids should never be combined in a brake fluid reservoir. It can cause substantial corrosion to your vehicle’s braking system, as well as, let off toxic fumes that are harmful to respiratory health. Also, never allow DOT3 or DOT4 to touch or spill onto car paint. It will eat paint away quickly, leaving you with a hefty vehicle paint job bill. In contrast to DOT3 and DOT4 brake fluids, the DOT5 brake fluids are silicone-based and DO NOT absorb water. This means the boiling point for DOT5 fluid remains steady and doesn’t change. Since it doesn’t absorb water, any water that gets inside can cause pure water pockets to form, resulting in major brake corrosion. DOT5 is actually an older version of what’s used on the market today since it causes high compressibility. DOT5 was used in antique cars and vehicles that needed to be water-corrosion resistant, like military vehicles. Now, a newer more applicable version is available called DOT5.1 braking fluid. Be sure to always discuss your car brake repair needs or concerns with a licensed Indianapolis automotive mechanic. They can give you professional information regarding factory scheduled maintenance for your vehicle. Call Northeast Auto at 317-475-1846 for Indianapolis car brake repair and service at an affordable price. We are ASE certified car mechanics that have decades of experience servicing and repairing domestic and import vehicles. Call 317-475-1846 and request a free estimate, today. Factory scheduled maintenance services for cars and trucks are an important part of vehicle care and preservation. It is crucial to regularly care for your car or truck to promote longevity, sustainability, and performance. There are several routine maintenance cars and trucks require; some blatantly obvious, while others not as much. Continue reading to learn about some different types of factory scheduled maintenance services recommended for cars and trucks. Having the oil changed in a car or truck is mandatory in order to achieve safe and proper vehicle performance and functionality. Oil changes should happen once a year or every 7000 miles; depending on the make and model vehicle. In larger vehicles, such as semi-trucks and diesel powered engines, an oil change should be made every 3,000 miles or twice a year. 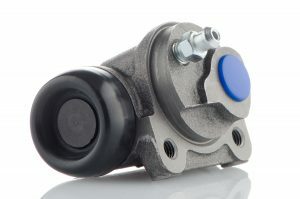 Oil is not the only fluid that requires changing in a car or truck. Brake fluid, windshield wiper fluid, transmission fluid, coolants, power steering fluids, battery fluid, and more are all examples of liquids that require changing in vehicles. Tire and wheels need to be rotated and balanced on a professional balancing machine every five thousand miles. This process ensures even tire wear and tear. The weight on the front and rear axles of a car or truck differ, which means the wear and tear will be uneven. Switching places and balancing the wheels promotes better drivability and avoids running a flat. When a vehicle begins requiring jump starts, or has dimmer headlights than usual, it may be time to change the car battery. Most people can accomplish this at home, themselves because it is a relatively easy project. A car or truck battery basically just snaps and plugs right in place, making it an easy DIY job for anyone. Typically, car and truck batteries need changed every 3 to 5 years, give or take. It also just depends on the vehicle make, model, and condition. Along with fluids and batteries, filters in a car or truck need replaced after some time. Air filters, fuel filters, cabin filters, and more all require replacement after a few thousand miles. Coolant fluid is a viscous liquid that supports the temperature levels in a car or truck engine. Flushing the coolant, also called antifreeze, promotes maximum performance in vehicle’s heating and cooling systems. A vehicle’s manual will retain information about when to change out the anti-freeze and how often to flush the coolant. Headlights, tail lights, indoor lights, rear lights, check engine lights, and more all need bulb changes every so often. On top of bulb replacements, hoses and belts require a small degree of regular maintenance as well. For example, belts can become squeaky overtime, and hoses can start to leak. These areas and more require minimal routine maintenance for optimal performance and sustainability. Call Northeast Auto Service at 317-475-1846 for ASE certified car and truck repair in Indianapolis, Indiana. We provide comprehensive automotive service and repair for all make and model vehicles, as well as, free estimates, free advice, and auto repair coupons! Schedule an appointment for a free estimate, today! If you think you hear your transmission making noise, don’t waste any more time and drive directly to an auto repair shop. Never ignore an issue with a transmission. This is because a simple little problem can turn into a large costly one if neglected. Have a small issue fixed before an entire transmission replacement is needed. The type of issue and repair can often times be determined by the type of noise your transmission is making. Continue reading to learn the common problematic noises and sounds a transmission makes when it needs service or repair. 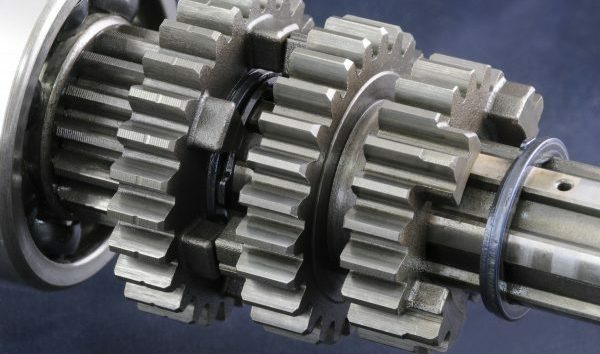 One of the most common causes of noisy transmissions is defective or corroded gears. The inner workings of a transmission can sometimes experience mounting issues, corrosion issues, and loose or faulty parts. All of these potential issues can happen one at a time, or in combination with each other. In this case, the noises coming from the transmission would be a result of defective or loose pieces and parts moving around, and the friction they create while doing so. This is certainly a repair that needs immediate attention before an accident occurs or the transmission is destroyed completely. Keep in mind that replacing a transmission can cost anywhere from $800 to well over a thousand dollars, depending on the make and model, and whether it’s new or used. 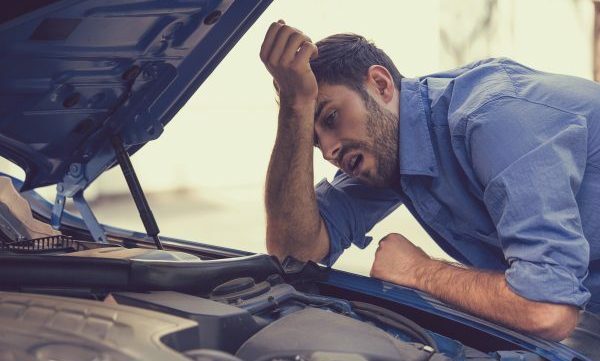 Another common culprit behind strange and unusual transmission noises has to do with the way it’s connected to the vehicle. When a transmission is installed, it needs to be positively secured to the vehicle for safe and optimal performance. 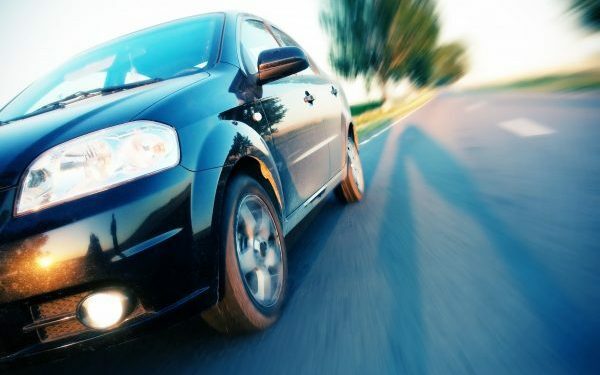 Over time, natural wear and tear or careless driving can cause the transmission connections to come loose, creating odd rattling noises. This also should be addressed as soon as possible. If a transmission comes entirely loose from a vehicle while on the road, it can cause a fatal accident to other car and drivers. It will also require professional Indianapolis transmission repair and replacement, and ample time to have your vehicle put back together again. One of the seven essential automotive fluids is transmission fluid. 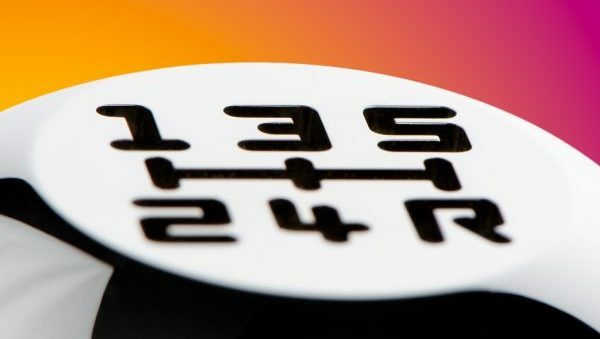 Without it, your transmission cannot operate smoothly. There needs to be ample lubrication for all the moving parts and gears within a transmission system. Without lubrication, intense friction and heat causes the parts to burn out and defect. This also causes loud screeching noises. A simple and speedy transmission fluid re-fill is all your vehicle needs, every three to six months. Be sure to also check the filter to ensure its preventing debris from entering the transmission fluid. If the filter gets clogged up, it can cause weird noises too. Indianapolis Transmission Repair You Can Trust! Call Northeast Auto Service at 317-475-1846 for specialized transmission repair in Indianapolis, Indiana. We are ASE licensed and certified car mechanics who provide a wide range of foreign and domestic auto repair services, as well as, free estimates, coupons, car care advice, and more. Request a free estimate, today. When it comes to driving, everyone wants to know how to save money these days; especially with the substantial rise in fuel prices each year. One way to combat these intimidating gasoline prices is to implement strategies that will improve your gas mileage and fuel consumption. So how can you save on gas and reduce your fuel consumption, you ask? Well the answers are simpler than you think! 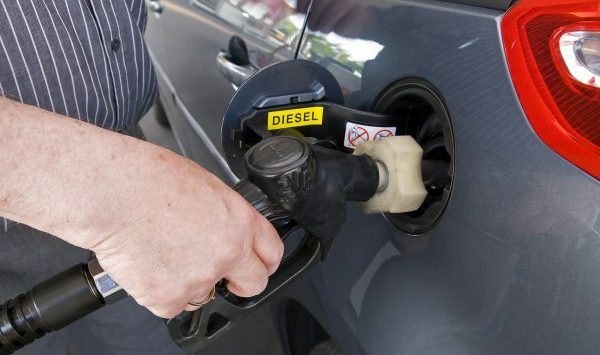 Continue reading to learn how to save money on driving and gasoline this year. One of the primary methods to saving money on rising fuel costs, is to reduce the need for so much fuel to begin with. Controlling your fuel consumption is the first step in saving money on driving. There are several ways to do this. For one, you can organize a carpool for work or school. Not only does this limit the amount of times you drive your vehicle, which saves you money, it is better for the environment and very green of you to do. Another method is to eliminate excess weight within your vehicle. Excess weight causes a car engine to work harder, thus burning more fuel. By reducing the weight, you are reducing the amount of fuel your engine uses to operate your car. Do this by emptying the truck and backseat of unnecessary items, and limit the number of times you drive with a full car of people. Another great way to reduce fuel consumption is to not drive at all! Ask yourself if something is within walking distance and take a stroll if it’s close enough. In nicer weather, this is easily doable. Walk to the park or corner store instead of driving. Walk to school or work if it’s nearby. Another trick is to avoid driving during rush hour or busy times of the day. Idling and sitting in bumper-to-bumper traffic can waste a lot of gasoline. Choose early morning, late afternoon, and evening commutes to avoid this situation. All of these are effective and easy ways to cut back on fuel usage; but the most important step to ensuring you are getting the moist for your fuel, is regular scheduled car maintenance. Factory maintenance like oil changes, filter replacement, fluid re-fills, tune-ups, and tire rotations are vital to getting optimal gas mileage. Be sure to use a licensed and reputable Indianapolis automotive repair shop for optimal results and professional advice. Where To Get Trusted Auto Repair Near You! Call Northeast Auto Service at 317-475-1846 for professional automotive repair in Indianapolis, Indiana. We are ASE licensed and certified car mechanics who provide a wide range of foreign and domestic auto repair services, as well as, free estimates, automotive service coupons, and more. Request a free estimate, today.